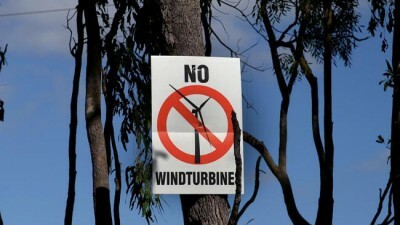 Aussies Not Going to Force Wind Turbines on Communities….For Real?? Angus Taylor, the Liberal Federal Member for Hume gave a wind industry scorching interview on Alan Jones’ Breakfast show on 2GB last week. For Australian rural communities fighting the threat of these things, STT thinks that what Angus had to say is the best news that they will have heard, since their battles began. Alan Jones AO: Which brings us back, thank God we’ve got some like it, to the man I’ve talk to you about many times, Angus Taylor, this bloke has ability. He is an outstanding Federal member for the seat of Hume, a Rhodes scholar. He’s from the bush. He’s got degrees in economics and law from Sydney University, a masters degree from Oxford University in economics and let me fire a warning shot here, because I now learn that the factions, remember Malcolm Turnbull said there were no factions in the Liberal party? The left are cutting loose. Just as the leader now, Tony Abbott has gone, and they’re lining up probably to have a shot at people like Angus Taylor and Craig Kelly and others, mobilising pre-selection. Malcolm Turnbull said at the Liberal party council meeting a couple of weeks ago – the party is not run by factions – Malcolm, you’re kidding us. Joe Hockey’s resigned. I’m telling you the next member for the seat of North Sydney has already been decided. You can forget about your pre-selection. The bloke the factions have decided will be Trent Zimmerman. Now as I told you last time, this gifted and talented Angus Taylor, didn’t make it amongst the 41 ministries handed out by Malcolm Turnbull. It doesn’t worry him because he is very strong on policy. He’s on the line, Angus Taylor, good morning. Angus Taylor MP: Morning Alan. Alan Jones AO: Where do we go on all of this? ‘Cos there is an interconnectedness isn’t there, between carbon dioxide, global warming, Paris and a a fortune being spent and then suddenly, embracing renewable energy. And you’ve got this in your electorate. Alan Jones AO: Each, each. Angus Taylor MP: Each. Each turbine, each one of them. Alan Jones AO: Stop stop Angus. Out there, remember what this man has said, this is not some dumbbell from you know out the back blocks, we’re talking to a Rhodes scholar. A bloke with masters from Oxford University in economics. $700,000 of your money per wind turbine and they’re owned by foreign interests. Angus Taylor MP: The extraordinary thing about is that we don’t have a planning system to deal with it. This is the equivalent of a factory being built in the middle of a new suburb. That’s what’s happening here. And of course if anyone moved into a new suburb and built their house and then suddenly found, without expecting it, without knowing it, a factory was going to turn up next door, ‘cos they’d scream about it, and so they should. Alan Jones AO: See people are writing to me Angus they’re refugees in their own homes now – they have to leave. Angus Taylor MP: Well that’s right, practically speaking, there’s only 2 ways that we can sort this out. One is, we need a planning system that recognises these areas that I’ve got, that are really rural residential now and zones them in a way where you can’t have these sort of industrial developments, or, and this is very important that the energy retailers who enter into long term contracts to allow these developments to be built, say look we are not going to build developments like this in areas where there’s community reaction, very negative community reaction. People like AGL and Origin, Energy Australia, and the ACT Government as well. Alan Jones AO: But Angus, you’re trained, your academic discipline was economics, but you weren’t just academic, you then worked in that field at an international level. Angus Taylor MP: That’s right. Alan Jones AO: Just explain this to me why does it, when the pastry cook whose listening to you now. He’s been up making bread and pastry since 2 o’clock doesn’t get one dollar in subsidy, why should wind turbines be getting billions of dollars of tax payer’s money in subsidies? I don’t understand. Angus Taylor MP: Well it’s extraordinary, isn’t it. So, let me give you some numbers that I think are really, really stunning. We are – and just accept for the moment, I heard your introduction. But just accept for the moment that we are going to reduce carbon emissions by some amount. We are doing it now, through the Direct Action program, a lot of which is about land use, agricultural land use, at about $15 a tonne. But we are paying these wind turbines about $50 or $60 a tonne to do it. So it’s 4 times more than we know we can do it. Greg Hunt has been able to do this for $15 and yet we are choosing to do it for 4 times that. So it doesn’t make economic sense. And I think the important point here is that if we are going to go down this path, we can not make ourselves uncompetitive, we can’t throw this sort of money at it, particularly when, particularly when we know that significant communities are being very, very negatively affected by what’s going on. Alan Jones AO: But Angus all this environment crap about carbon and wind turbines – how much carbon dioxide, if that’s the fear, if that’s the demon, how much carbon dioxide is created by building these blasted things? What about you know, when you’re constructing the turbine? You’ve got to get iron ore to build the turbine. You’ve got to make steel to build the turbine. You’ve got to transport the turbines. You’ve got to have tens of thousands of concrete that go into each of these turbines. How much carbon dioxide is created to build these “environmentally friendly” wind turbines? This is a nonsense. Angus Taylor MP: Well there is a light, and of course the other factor, which you mentioned earlier on, is the volatility of it. It’s unpredictable, it’s interruptable as they say. And the important point about that is that electricity is no good to anyone unless its at the right place at the right time. And of course you can’t predict when you’re going to get electricity from wind turbines. Alan Jones AO: And if they weren’t injurious to health, why wouldn’t you put them on Bondi beach, Queens street Brisbane, Collins Street Melbourne, Paramatta road? If they weren’t injurious to health. Angus Taylor MP: And this is my point. What we are effectively doing is putting big factories into areas which are increasingly subdivided. Look, in my electorate between Sydney and Canberra, there’s more and more people moving in, which is great thing, a great thing. But they’re moving in and suddenly discovering that they’re next door to a cluster of wind turbines and the impact that’s having on their land values, on their peace of mind is enormous. Alan Jones AO: Astonishing, Astonishing. Now look, we’re going to keep talking to you and I hope that you can persuade some of those people in your Caucasus to all of this because this nonsense somewhere has got to end. But well done, you continue to do terrific work, we’ll talk again soon. 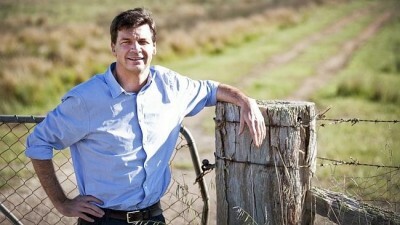 Angus Taylor MP: Thanks Alan. Alan Jones AO: It’s Angus Taylor, the Federal member for Hume. Angus Taylor delivering with the very substance and style that earned him the well-deserved tagline, “The Enforcer“; and, with one quibble, an exceptional effort. Where Angus starts talking about the cost of CO2 reductions in the electricity sector purportedly attributable to wind power, he heads off into the land of myth and make believe. this is very important that the energy retailers who enter into long term contracts to allow these developments to be built, say look we are not going to build developments like this in areas where there’s community reaction, very negative community reaction. People like AGL and Origin, Energy Australia, and the ACT Government as well. Not least because the thugs employed by Trustpower and Epuron belted into a 79 year-old pensioner and a disabled farmer at an earlier meeting (see our post here), the crowd at the Yass meeting were keen for revenge (probably why, despite a cordial invitation, Trustpower’s thugs lacked the nerve to show their heads). The communities’ attitude is pretty well captured by this letter from local STT Champion, Jayne Apps to the local rag, the Boorowa News. On Friday, October 9 a Public Meeting organised by the Rye Park Action Group was held in Yass. The meeting was widely advertised and open to anyone who wanted more information on the large number of ‘Wind Farms’ being planned and built on the Southern Tablelands and South West Slopes. Attendees were given information about the effects of sound, including infrasound, from people living at the Gullen Range WF near Crookwell. Speakers also came from South Australia to tell the audience about the problems of being a WF host on their land and their inability to continue living so close to operating turbines resulting in the eventual sale of their property, and a Yass Real Estate agent gave his opinion about the difficulties he is having selling properties that will be visually impacted by the proposed Yass Valley and Rye Park WFs and the price reductions vendors are taking as a result. A solar expert also gave a talk, and had a display, on one of the alternatives to wind power and local residents and business owners stressed the need for people to research and ask questions of the developers before agreeing to, and signing, contracts with wind power developers. The meeting was attended by 160 people, and although the meeting was open to supporters of wind power as well as those seeking more information the majority of these people came from the villages and farming communities that will be impacted by the many developments. When you take into account that most of these people would have been representing families and friends I think it could be said that there is a large amount of opposition to wind power development in the area. Trustpower (Rye Park WF) tell us there is widespread community support for their development but after several years of promoting community knowledge on wind power in rural areas I have yet to see any sign of these supporters. The only supporters I have come across are those who will be benefiting financially, and those who trespass on my land and steal signs, most recently a 760mm high x 1830 wide sign that was several metres inside my boundary fence. I find it disturbing that a person who is supporting wind power can be offended by a ‘No Wind Turbines” sign that is less that a metre high, but will allow Rye Park to be surrounded with 109 wind turbines that will be 175 metres high and will make a lot of noise, without even taking into consideration the impact it will have on the community as a whole and the precious remnant vegetation and animal habitats that will be destroyed in the construction process. As a matter of interest, a poll was taken on the night of the Public Meeting. Of the 160 people in attendance 138 of them voted. 136 voted no and 2 voted yes. This is in stark contrast to the survey done several years ago that the wind power companies love to quote saying 80% of people want wind power. I would also like to note that I personally invited Trustpower representatives Michael Head, Wind Development Officer, and Rontheo Van Zyl, Development Manager, to speak at the public meeting and have a display but they were adamant they would not be attending such a meeting. I again urge those living in Boorowa to take notice of what is going on around you, give support to your local farmers and residents of Rye Park and do some research on the impact the Rye Park WF, Bango WF and Rugby WF will have if they are approved for construction. If you would like more information please email: ryeparkactiongroup@gmail.com or get onto Trustpower’s Rye Park Wind Farm website and look at their maps. Also talk to your Boorowa Councillors. They are currently deciding on the future of our roads that are to be used in the development stages of the Rye Park WF and if approved will be allowing the huge amount of oversized traffic to pass through Boorowa streets and local roads. Nice work, Jayne. With that sort of response from locals, STT is happy to call the ‘community reaction’ from Rye Park and Yass, ‘very negative community reaction’ – of precisely the kind that will see power retailers refusing to sign the Power Purchase Agreements which are an essential pre-requisite for wind power outfits, like Trustpower to obtain the finance needed to build the wind farms still threatened. No PPAs; means no new wind farms – it’s a simple as that. For every community defender, wherever you are in Australia, follow the lead set by Rye Park and Yass. Get angry, get organised, get vocal and help prevent your community from being treated as ‘road-kill’ in the greatest economic and environmental fraud of all time. Fight them now; and they will flee – empty handed. Australia, Faux-green, fighting wind turbines, Noise & Infrasound, not financially feasible, Return to sanity! ← Wind and Solar….Nothing more than Unaffordable Novelty Energy!